The Grama Panchayat Officials, especially Secretary, Assistant Secretary, and Junior Superintendent are expected to perform multi-faceted functions on local governance and development. The efficient functioning of Grama Panchayat Officials requires thorough knowledge on Kerala Panchayat Raj Act (KPRA) and allied Rules, proficiency in applying management tools to solve organisational problems, and soft skills for effectively dealing with stakeholders. The enhancement of these skills and knowledge of the officials help to create positive work environment and cordial relation with stakeholders of Grama Panchayat. 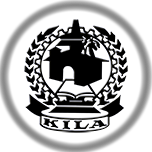 In view of strengthening these knowledge and skills, KILA envisages a Diploma in Local Governance (DLG) that targets to enhance the capacity of young Officials of Grama Panchayats on three core areas viz. (i) Kerala Panchayat Raj Act (KPRA) and Rules, (ii) Management Proficiency, and (iii) Soft Skills. This DLG is featured with a slogan ‘3-in-1’, as the participants will be able to gain knowledge and skills on three core areas through one course.